​Is there smoking in Atlanta Airport? ​Smoking is only permitted in designated areas outside the terminals. 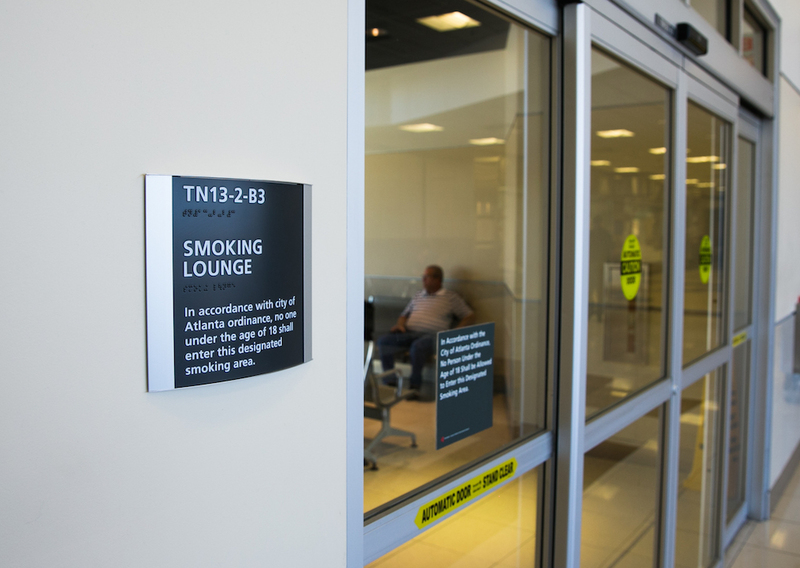 Smoking is not permitted in public areas at the airport, but smokers have access to lounges located around the airport. The airport has at least two smoking lounges in each of its Concourses except Concourse D, adding up to a total 12 smoking lounges. ​The smoking lounges in the airport appear to be somewhat popular. Here is a link to a reddit that gushes with reviews. ​Can you buy cigarettes in the Atlanta Airport? ​Yes you can. Some bars sell cigars and cigarettes. There is also a report that the smoking areas in the airport may get a place to buy cigars. Here is the report.